News is to hand that Pte. 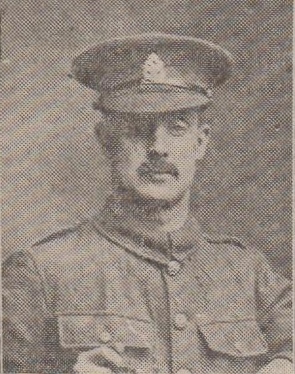 R. Kay of 75 Rising Bridge, Haslingden, was killed in action by a bursting shell on September 23rd, 1917. A sergeant writes saying that he was a excellent soldier, and was held in high esteem by both officers and men. Thirty six years of age, he leaves a wife and three children. Before joining the colours he was a weaver at Industrial Mill, and was on the committee of Rising Bridge Working Mens Club. A well known footballer he played with Haslingden Grane and Hud Rake. In loving memory of our dear Brother, Private, Robert Kay of the East Lancashire Regiment., killed in action in France, September 23rd, 1917, in his 37th year. For he's in heaven; he's happy now. Though others forget him, never shall we." Ever remembered by his Mother, Sisters and Brothers, Rising Bridge, Baxenden.